Hey Rock Creek Pool Families!!! 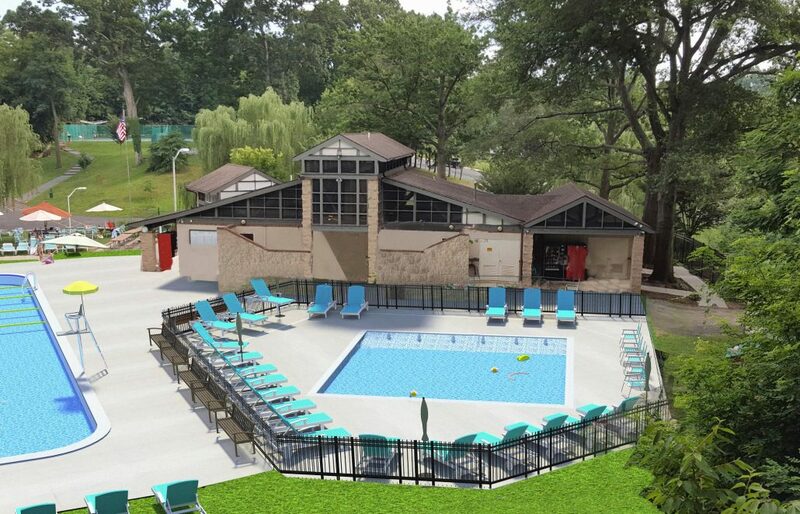 The Pool is Opening Sunday, May 27 at Noon! 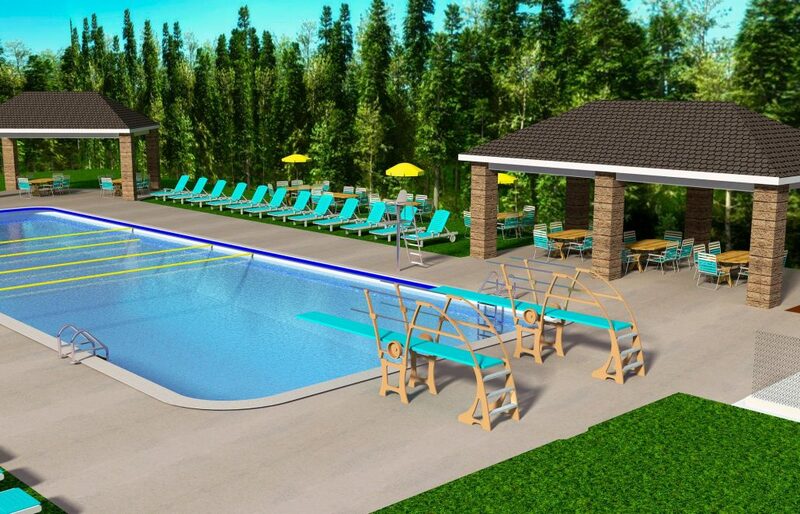 It’s been a wild past few days but as a result of some above and beyond efforts by our contractor Elite Pools and their water supplier CL Pitcher, who worked through Friday night/Saturday morning to fill the pool, we will be able to open at noon on Sunday, May 27. We aren’t quite ready to host a BBQ for Memorial Day, but our Social Team will host a Happy Hour on Monday around 4-6pm. 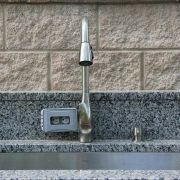 the outdoor food prep area with plenty of counter space and a sink. 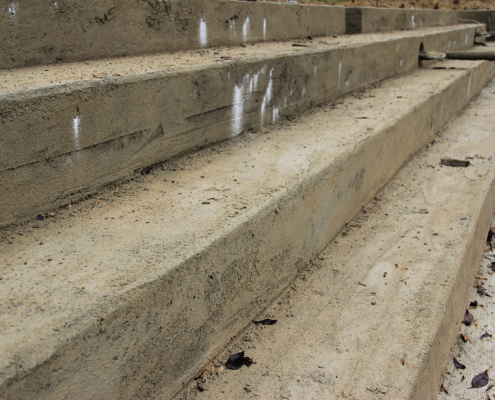 There are some projects that are not yet complete or ready for wear and tear. Main Seating Area. First and foremost our main seating area had new sod installed last Monday. We need to give the sod time to take root to withstand the heavy use through the summer. We have that area, and the other areas, that were recently sodded marked with caution tape – please respect that signage and stay off those areas (use this as an opportunity to explore other areas of the pool grounds). 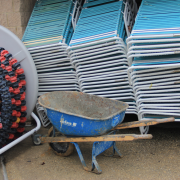 Since we aren’t using that area will have lots of chairs and tables stacked on other parts of the property – please be patient as we use all available space for storage. We will monitor this area closely and will open it up as soon as we can. Women’s Restroom. We had to deconstruct part of the women’s restroom to get plumbing to the outdoor food preparation area. The tile work is going to be completed by Tuesday of this week. That area is blocked off with caution tape so please respect the signage. Men’s Restroom. We were required to bring the men’s room up to code and as a result there is a new toilet area, with new tile, counters and sinks. That work is 95 percent complete but we need to adjust some doors, finish grout, hang mirrors etc. That work is going to be completed by Tuesday of later this week. Tables and Chairs. We have a number of tables and chairs that we need to get replaced or fix. With the addition of the new furniture (mainly in the baby pool and under the pavilion) we are trying to assess the best path forward with style and material (wood or composite for tables and our traditional metal vinyl strap chairs). You’ll see some of the bits and pieces in various areas on the property but please be patient as we work through what to do. One major item in the category of “still to come” is a deck off the pavilion. Our original design had a small deck off the creek-side end of the pavilion. 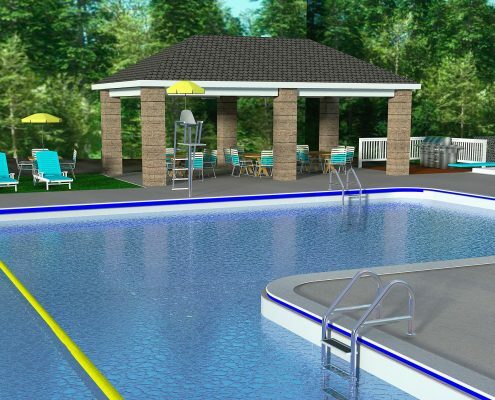 After input from a member (also an architect who was helping with some other parts of our project) it was suggested to expand the deck to cover not just the back area off the pavilion toward the creek but also the main pool pump house. This design will capture space we didn’t previously use and will be about 1,000 sq ft! We have a design and are waiting for permits which we hope to get next week. If we obtain the permits next week we will move forward with it this summer but if the permits are delayed it will be built in the fall. Lastly, we have a single consolidated running list of “punch list items” that need to be fixed or touched up. 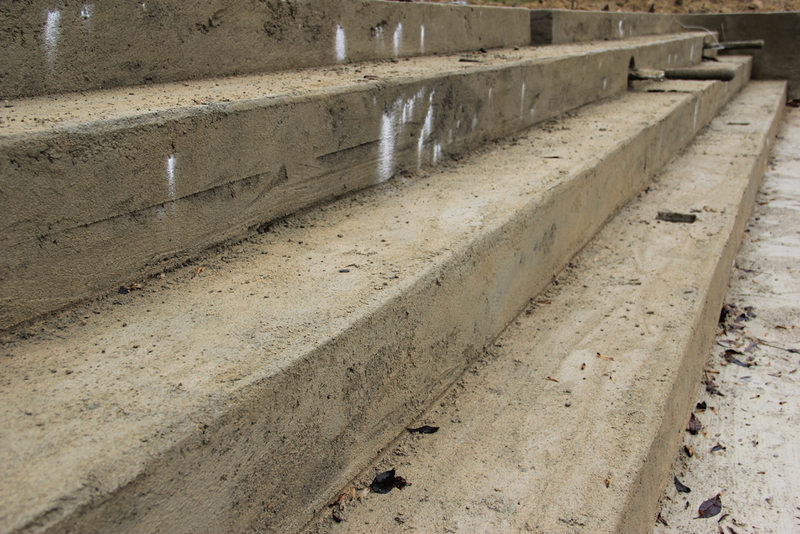 We will work the contractor in the coming weeks to address as many of those items as we can. We’ll have a suggestion list available for you to submit things you notice – please don’t pass along suggestions to individual board members as they are trying to enjoy the pool as well. Hope you get to enjoy some time at the pool this Memorial Day Weekend. UPDATE (Saturday, May 26, 7pm): The pool opens at 12:00pm on Sunday, May 27. We have good news and bad news. The good news is that we passed all inspections, a huge milestone for this project. Unfortunately, there is some bad news: The pool will be closed over the Memorial Day weekend. We are currently planning to open on Tuesday, May 29th at 3:30pm. To explain the delay, in the last few days Elite Pools noticed we were losing water from the pool. After troubleshooting, it became clear Thursday morning that the only course of action was to drain the pool and replace the drains in the diving well (an area of the pool not impacted by the construction). Filling the pool takes 3 days normally. 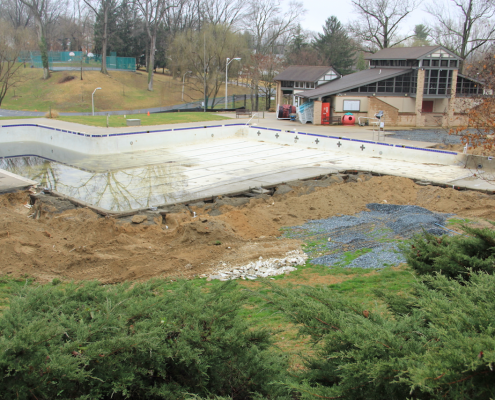 The pool was drained today; a repair crew was at the pool Thursday evening making necessary repairs. The major drain structure is in good working condition, so the crew is patching and installing new flow covers. 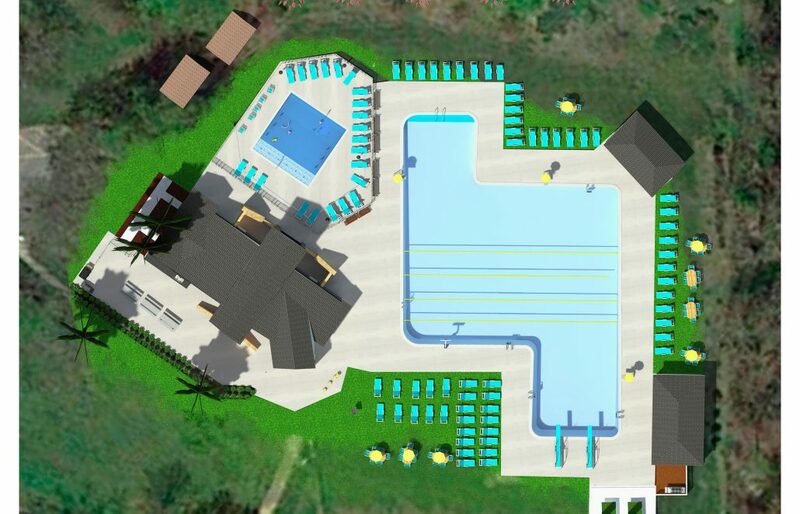 We avoided major additional work, and we plan to open the pool — absent additional unforeseen issues — Tuesday at 3:30pm. Again, we appreciate your patience and apologize for the delayed opening. While we have been pushing hard to open on time we need to do so in a safe and responsible manner. The Tuesday, May 29th opening will also enable us to finish other loose ends and help the new lawn take root. The Board met yesterday and we wanted to provide you an update on the pool construction and timing for opening the pool. Schedule this week. 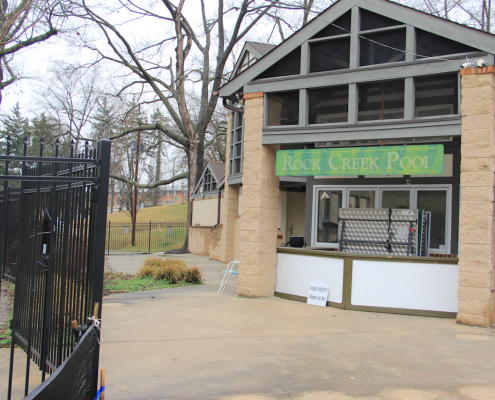 Rock Creek Pool will not open as hoped for this Friday. A Monday (Memorial Day) opening (and possibly Sunday) is more realistic. Generally, the work is very close to completion and we are talking a delay of a matter of days. The work will have a series of inspections this week, beginning today with the building inspection and continuing tomorrow with WSSC and health department occupancy inspections. We anticipate we will have issues to complete, addressing those this week, and having a re-inspection. The health department already agreed to return later this week to re-inspect. We will be setting up tables, chairs and lounges Friday and Saturday, including assembling and positioning new furniture for the covered structure and around the grounds. The Board is meeting again Thursday to assess our status. We therefore plan for an opening on Sunday or Monday. We believe this is realistic, but be aware if any issues are outstanding at the end of the week and we do not receive approval to operate at the end of the week, it is possible that we would postpone opening until sometime next week, which would include delaying the start of swim and dive team practices. A great deal of work has gone into this effort, the contractor (Elite Pools) are working a lot of hours to complete this project for us with additional requirements as we have progressed (including the two walls you will see upon entering) and we are excited to share the renovated pool and grounds with all of you. It looks great. The “guts” of the pool are in good shape. 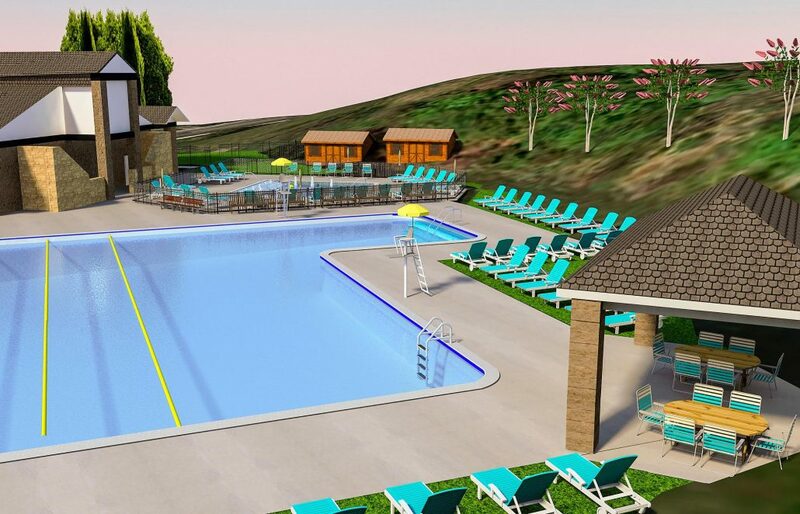 The wading pool will be a very popular spot for all and the new fencing around it is a big improvement. We’ve taken the opportunity to improve conditions in the bathrooms. We appreciate your patiences as we finish up the work. We will have more to share. Stay tuned. And see you, hopefully soon, on deck! Will we make our target of opening on Memorial Day weekend? We hear this a lot. Here’s the deal: We remain optimistic: The pool is a very busy place right now and the weather’s great. A word of caution: We’ll feel much better about the open date once the bathroom plumbing work is inspected, currently scheduled for this week. Once that hurdle is past we’ll be able to close up the walls and complete the finishes. This week and next we’ll see a lot of progress. 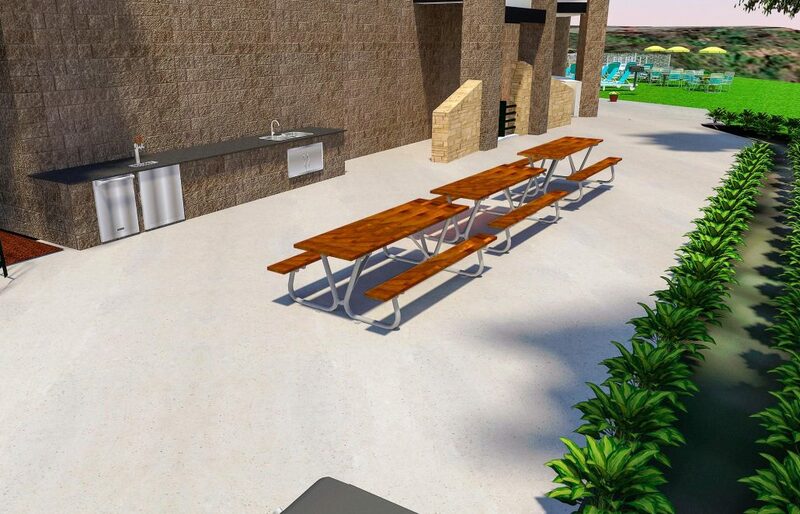 For example, the pools will be surfaced and cleaned, new concrete decking and sod is going in, the ceiling of the new covered structure is getting a coat of clear coat, and the granite countertops will be installed on the food prep area. We’ll try to post some photos soon. 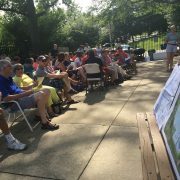 If you see Patrick Moffitt, our Board member leading the construction work, please say a word of appreciation for his time and efforts bringing this multi-year effort to the finish line. We’ll have more for you as we get closer. We are a month away from Opening Day! We have been cautiously optimistic about completing work for an on-time opening. Much work has been accomplished but the grounds remain a busy place. While we have noticed curious — and excited — members stopping by, please remember it is still very much a construction site. We are hopeful that will change very soon. The Board will be meeting on Monday, April 30th to touch base on progress and final decisions. 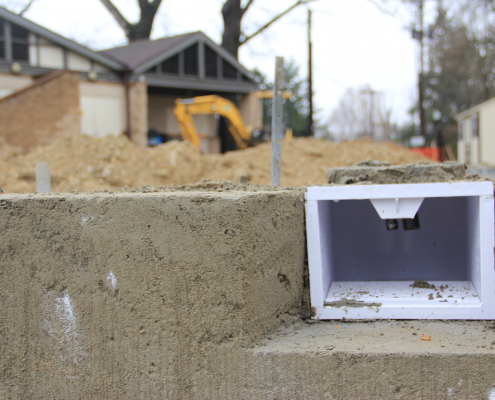 Last week the stormwater management system was completed and has passed inspection. The pavilion structure has passed inspection. It still needs finishing touches. 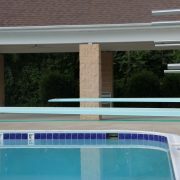 New coping stones surrounding the entire pool are in place, and tiling work will be completed soon. Plumbing and filters are installed. New decking will be poured in coming days. The food prep area has been framed out and granite countertops arrive this week. Bathroom modifications have been framed out. The pumphouse shed (housing the wading pool’s pump system) is complete. 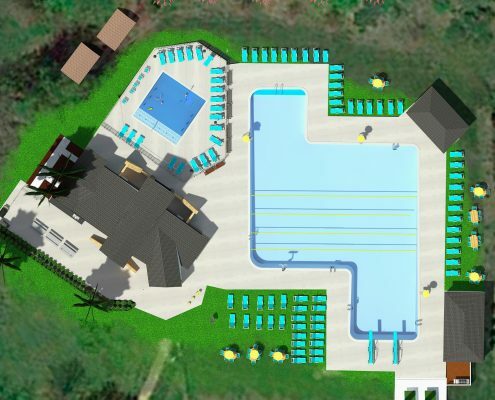 We are aiming to fill the pool the week of May 7th. Also, April is the month for annual dues. Payment is due by April 30th. Your primary account holder for your household should have received an invoice via email address on your account. Thank you to those who have already paid your dues. We also have a few other things in the works. Stay tuned! 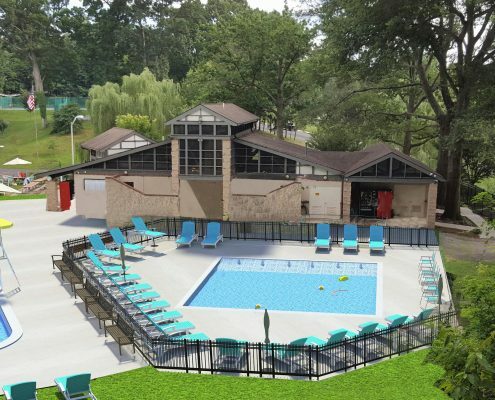 It’s been a busy, and sometimes trying (especially the Montgomery County permitting process) off-season at the pool but since the beginning of March there have been positive developments and the construction is progressing. To address the obvious question – we are cautiously optimistic of being able to open by Memorial Day weekend with a target opening date of Friday, May 25. The current construction calendar is on an aggressive schedule and barring any stretch of bad weather, additional permitting issues, or other unusual events we should make that deadline. 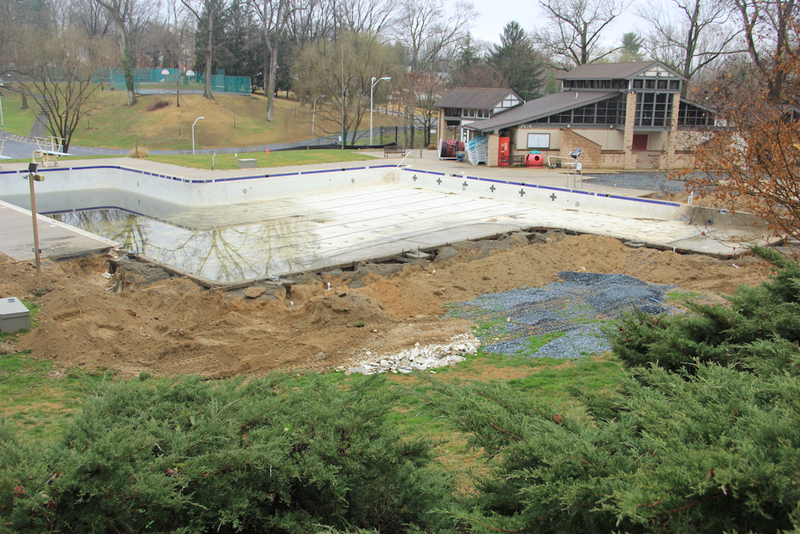 In January, the old pool perimeter and baby pool demolition started. 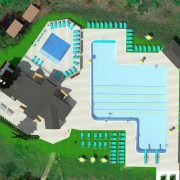 Elite was able to get the new pool shell poured so that the complicated plumbing issues (bringing the entire system up to code and combining the new and old plumbing systems) could be tested. Those systems passed their tests in early March. 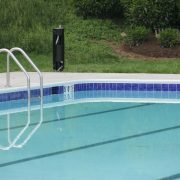 We upgraded our old filtration system and added necessary equipment for the larger pool so we should have a much better and more efficient pool filtration system. All the plumbing and new electrical wires have been run and the ground has been filled back in preparation for building of the covered structure. Work has begun on the County-required changes to the men’s bathroom (additional toilets and sinks), the food preparation area, and the footers have been poured for the covered structure. 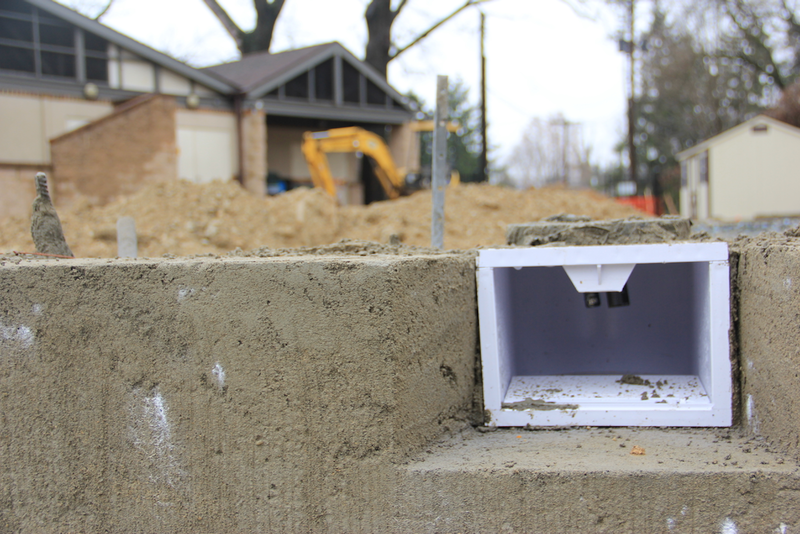 Hoping that we are finished with snow and windy weather, Elite can make progress on the covered structure and the County-required Storm Water Management System in the next two weeks. There are lots of moving pieces but personally, I am very excited about the modernization upgrades. 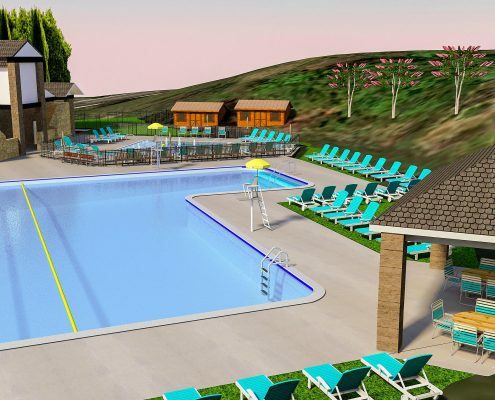 In addition to a larger pool, the covered structure, and food preparation area, we are upgrading the pool lighting, fences and a few other amenities. I would like to thank Patrick Moffitt for being the point person on the daily interactions with Elite. We’ll have a better sense of our ability to adhere to the opening schedule by the end of April and will post updates on a consistent basis through our social media platforms. Please keep reading – there are other items we need you to know – especially Equity Members who wish to sell their memberships. For Equity Members, now is the time to decide if you will retain your membership. We have a good number of families that used the pool fewer than five times last summer and we have an extensive wait list. 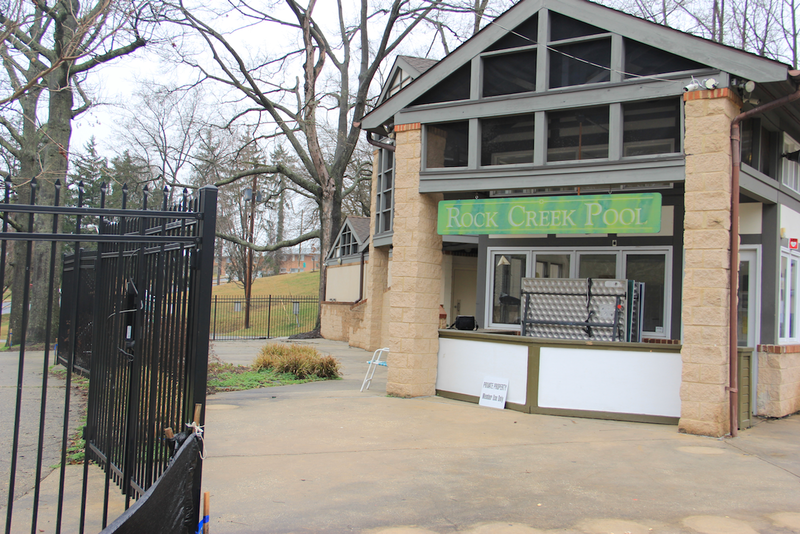 Please contact Admin@RockCreekPool.com by March 31, 2018, to sell your membership and to receive a refund of your $950 equity share. While we do offer Senior Swim privileges to Equity Members who are age 65 years or older with 20 years of membership, we are currently at our maximum of 70 slots. 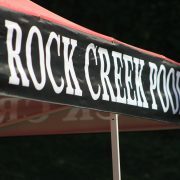 If you are interested, please notify Admin@RockCreekPool.com to add your name to the wait list. 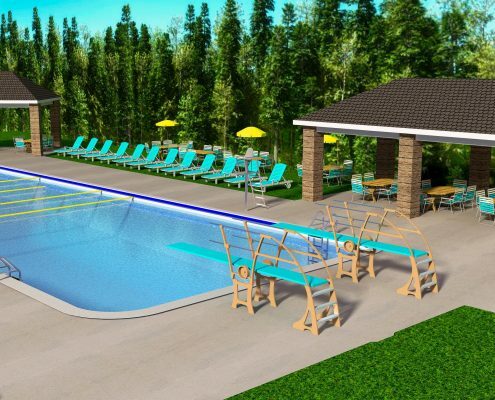 Once offered, you would sell your membership but retain swim privileges for $200 (current price) for the Account Holder and their spouse/partner. Registration is scheduled to open the week of April 9 with payments due by April 30. For those of you that don’t live in the immediate area, I cannot understate the impact of the Purple Line construction. A significant number of trees have been removed along the Purple Line track (the Georgetown Branch Path that runs along the top of our property). In addition, we had a handful of trees that needed to be removed as a result of natural and weather-induced causes including, unfortunately, one of the iconic oak trees in the southwest corner (by the upper parking lot) of the bathhouse. This tree had a fungus that was rapidly killing it. The sale of the land required to build the Purple Line will close this year. We are consulting with landscapers about remediation efforts within the pool boundaries. In addition, we are planning to consult with appropriate Purple Line contacts about their landscaping and how to supplement what they are doing. RCP is run by a group of volunteers and we always need help for a variety of events (social, grounds clean-up, organizing an event, communication, purchasing food for an event, etc.). Please plan to support your community pool by volunteering your time and expertise. As always, your comments are appreciated – you can reach me at President@RockCreekPool.com. We’ll have a more detailed update for you soon on the status of the construction at the pool, but we wanted to share some photos. One of the returns in the new area of the main pool. 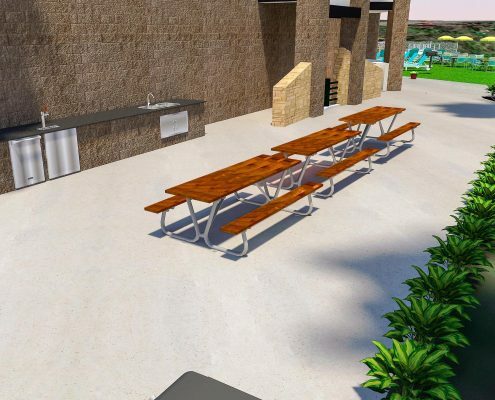 You’ll be able to sit on the steps in the water watching young kids play in the newly configured shallow play area of the main pool. Notice the short gates have been removed from the main entry area in this photo taken February 24, 2018. Construction of the main pool, February 24, 2018. MODERNIZATION LOAN — In addition, the pool members APPROVED the loan for the modernization effort by a vote of 70-27. 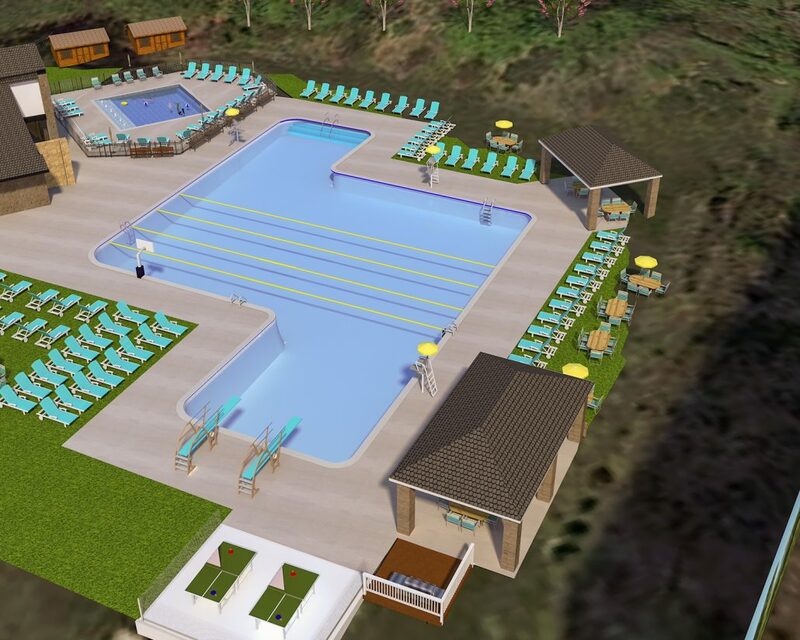 Using the results of the survey, the Board has voted to proceed with expanding the main pool, renovate the baby pool, construct a food prep area, and construct the pavilion next to the pump house. 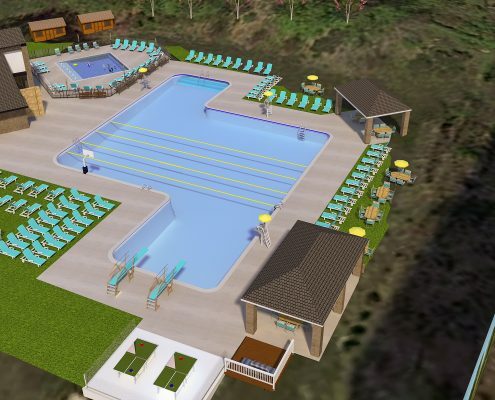 Surveys were sent by email to 400 Full Members and 225 Summer Swimmers. Responses were received from 218 Full Members and 124 Summer Swimmers. We are moving forward with financing and will present that plan at the Annual Member Meeting on Sept. 5 at 4pm. 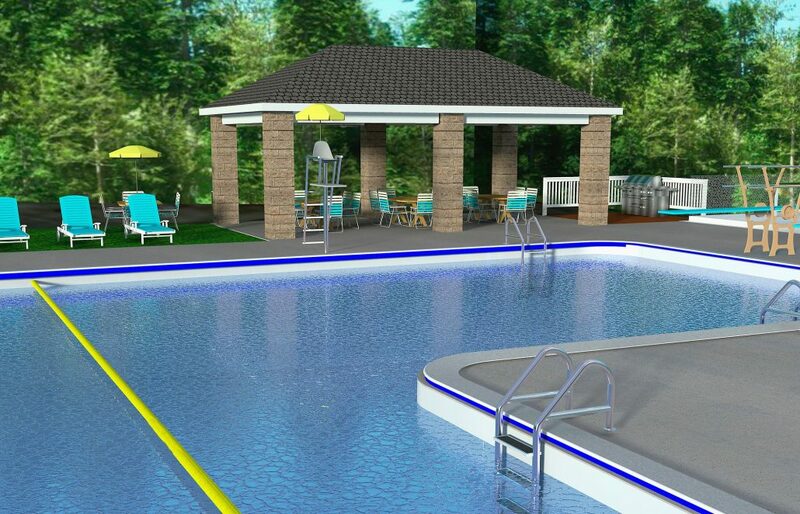 Below are the artist renderings of the modernization elements created by Elite Pools.